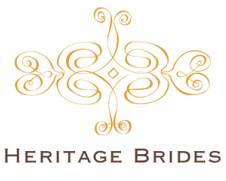 Heritage Brides is a local business. And it is important to us that we support other local businesses within the wedding industry. Here are some of the companies which we have worked with in the past and who we would recommend as reputable suppliers. Why don't you check them out? 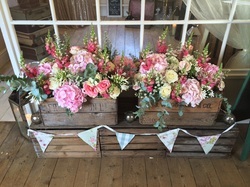 Betty & Bear are a specialist florist based in the beautiful city of St Albans, Hertfordshire. Specialising in wedding floristry and event floristry nationwide. All work is personally undertaken by the lovely Anne. We promise you won't be disappointed. Everyone loves Lara and the miracles she works with make-up. Incredibly talented and gentle, Lara will create the bridal look you have always dreamed of. An innovative styling and floristry company promising to transform your events and interiors with the revival of forgotten treasures from the past. Kelly of KRJ Photography believes that having your photograph taken should be a fun experience, that’s why she offers simple, fun, relaxed and natural pictures at affordable prices. Deborah is a seamstress of choice for Heritage Brides. She is based in Letchworth and offers a full alteration service for the dresses which are sold through the boutique to ensure that the fit is perfect. A highly talented, professional 8-piece party band playing a mix of soul, motown, funk and chart hits from the 50s, 60s, 70s, 80s, 90s and 00s. Visit www.allcoveredupmusic.co.uk for the band's demo tracks. Abi is a genius when it comes to transforming your ideas into decorated cakes. 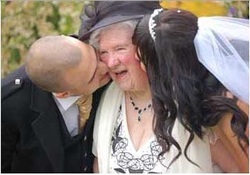 Just get in touch for something special for your wedding day. Nothing is too much trouble. Oh and the cakes taste as good as they look too.